Am in a VERY similar situation, and may have some insights which I will share in upcoming posts. Do you know the manufacturer of the “Cipro” which you took? Bayer is the ‘brand name’ and not covered by insurance, due to insane pricing. is potentially crucial to uncovering the precise mechanism which caused the horror which you you described. Wish you well! Bob thank you in advance. Teva is the manufacturer. i only took one pill after that i got liquid because i have a hard time swallowing pills i took it twice a day for 7 days. was supposed to be 10 but i cut it short. Whenever I go on missions trips to Guatemala we always are prescribed Ciprofloxacin. Since 2009 whenever I used it nothing bad ever happens to me. We only use it for that week when we go. It’s obvious that you are more than likely allergic to this meditation. There are certainly people who don’t react as horribly to this medication as Aaron did. However, please keep in mind that there is no way to tell who will react this horribly to this medication before they take it. It’s a bit like Russian Roulette – and you shouldn’t be playing Russian Roulette when you take a simple antibiotic. There ARE safer medications available – especially for something like simple travelers’ diarrhea. Also note that there are tolerance thresholds for this medication. I was fine the first time I took it. It obliterated me the second time I took it. Others have taken 100 pills, and the 101st pill pushed them over the edge. These reactions are not allergic reactions – they are not healed by antihistamines or steroids. They cause severe cellular damage and chronic illness. I certainly hope that you don’t suffer from fluoroquinolone toxicity the next time that you take Cipro, but don’t assume that you are immune just because you haven’t had trouble in the past. I would like to support what Lisa has said. No one knows who will be seriously affected and when. By the very nature of the Fluoroquinolone antibiotics, they are designed to disrupt the DNA of the bacteria and stop its reproduction. Now we know that it WILL also disrupt the DNA of the person it is administered to. Make no mistake!!! 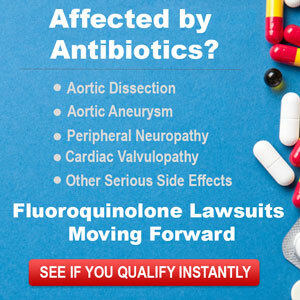 Fluoroquinolones do affect EVERYONE who takes them. Let me repeat that…….. EVERYONE is affected to some degree. How severely and how soon? You won’t know until it is too late. 30+ years ago I was in on the clinical trials of Cipro. After 25 years of taking every antibiotic in the arsenal for a (doctor caused) chronic UTI Cipro came to market. Over 30+ years I have probably taken 1,000 Cipro pills. From the beginning I did not feel quite right but no reason was apparent. In October 2017 I went to the ER because of a UTI flare up and was given an IV of Leviquin. I followed it with 10 days of (my favorite) Cipro and the infection subsided. BINGO!!! I reached my tolerance limit and the “unusual” symptoms of the past came on like gang busters. I finally found the various Internet web sites that discussed the insidious and devastating things that Fluoroquinolones can cause. Now I realize I am a “floxie” and must cope with it. As Lisa says. You are playing Russian Roulette, but you are playing Russian Roulette with a 6 shot revolver loaded with 3 or more bullets. I feel for you and having experienced effects of fluoroquinolones, I understand what you have been through, unfortunately. I am very happy things are on the upswing. I hesitated to write and say, “you should” but I decided to mention my experience with my eyes, because what you wrote sounded too familiar. I too had issues with the grid test and floaters, and what happened to me turned out to be a macular hole in my right retina. I had surgery for it and it was repaired; my vision is not perfect but far better than what it deteriorated to; I essentially lost the sight in my eye before it was repaired. I also had to have cataract surgeries (cataracts are a known complication of retina surgery like this). It is unknown as to whether the antibiotic caused or accelerated a condition that might have happened anyway (I am severely nearsighted which is a pointer for retinal issues), but I have my suspicions, as I do know retinal issues are a side effect. Good luck to you and continued healing. thank you for your input. after reading what you went through i will go have it checked out. if it was not for other floxies i would not have had a clue what to do. mainstream medical “professionals” are so ignorant and dead set on staying that way. if someone had warned me prior to getting floxed i would have listened. I Wonder about The hearing supersensitivity, did that go away completely for you? I have that, and every sound Hurt my ears and head. How long was it before it got better for you? sorry for the delayed response. I still have sensitive hearing and tinnitus. it is less severe than it was. i think around four months out my symptoms began to improve. 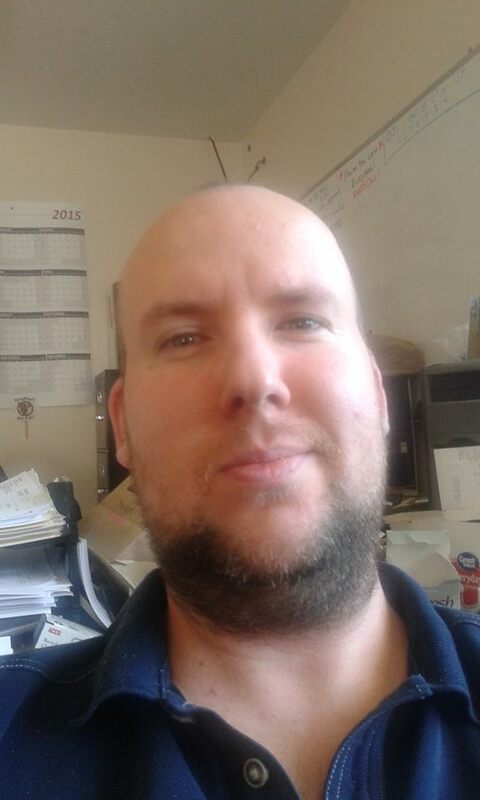 I am still only 10 months out so i am hopeful i will continue to improve. If you can afford it; I recommend ozone therapy. just google ozone therapy providers in your area. they all require a blood panel that your insurance probly wont cover. mine was 575 dollars. My treatments were around 100 dollars each. memory is failing me but worth every penny. if i had a lot of money i would get 20 ozone therapies and 40 hyperbaric oxygen therapies. My budget now is just bearbones supplements and hope for the best though. Hope you make a full recovery soon with no permanent damage. Aaron – at roughly 3 years out how are you doing these days? Any lingering symptoms?